If you would like your customers to pay a deposit or full payment before confirming their booking, you can set an 'immediate payment' option - meaning that the booking will expire if no payment is made immediately. The default time-lock for immediate payments is 30 minutes, and can be changed according to your needs. Please note the immediate payment option is only available for credit card or Paypal transactions and therefore the bank transfer payment method should be deactivated to use this setting. You also must have your product set to Automatic confirmation so users can get directed to the payment page (Please see this article to understand the difference between Automatic and Manual confirmation). 1. The moment a guest clicks on the "Book" button from your frontoffice's product page, Bookinglayer automatically creates a booking in your calendar with a "draft" status, in order to block off the availability to prevent overbookings. 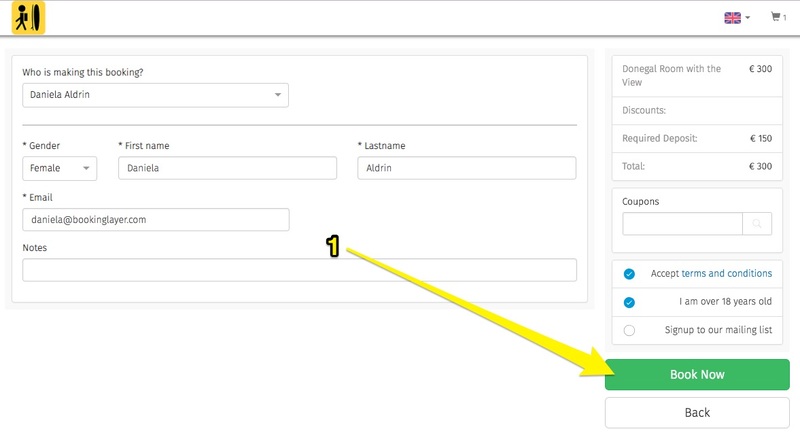 Important: If the user drops-off the booking form before finishing the booking, Bookinglayer automatically erases the "draft" booking and the slot then becomes available again. 2. After finishing the booking, the user gets directed to the payment page with an expiry clock. 3. If the user makes a payment within 30 minutes, Bookinglayer automatically changes the "draft" status to "deposit paid" or "paid", depending on the amount that has been paid. 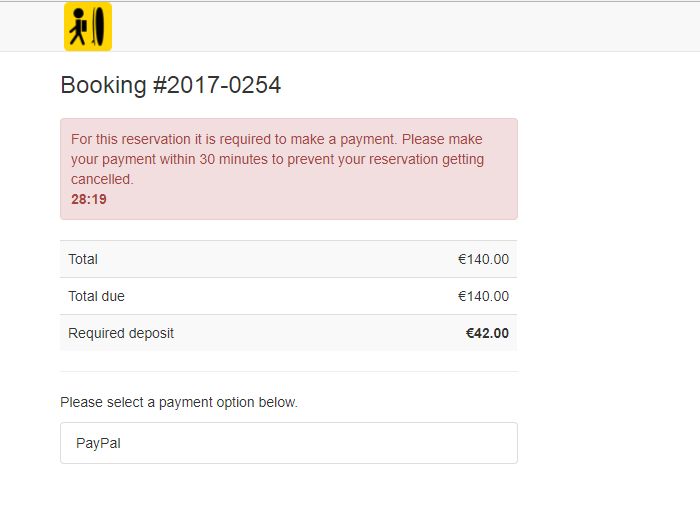 Important: If the user doesn't make a payment within 30 minutes, Bookinglayer automatically cancels the booking. You can see all the cancelled bookings in the booking's list. If you would like to activate the "immediate payment" settings in your Bookinglayer account, please contact to our support team.